Consumer Reports has released its top car picks for 2012. The magazine gave out “best-in-class” awards in 10 different vehicle categories but only two SUV classes: small SUV and family SUV. Toyota has bounced back from its recall troubles in recent years to be the automaker the most “recommended” vehicles. CR awarded five Toyota models as best in class, with two SUV models. CR’s evaluation process is based on testing of models on handling, braking, safety, reliability, fuel economy, comfort, and convenience. The magazine puts on over 6,600 miles on each model tested in the process. To be a top must score highly in the above factors and perform “well” on crash tests. CR’s evaluation process is different than others in the automotive press, as CR buys vehicle models anonymously from dealers, instead of having handpicked models furnished by automakers. This top 2012 SUV pick in the small class is a bit of a surprise. The RAV4 was last significantly revised in 2006. CR noted that the four-cylinder RAV4 with a 2.5-liter 179 horsepower engine delivered 23-mpg combined, near the top of the class. The V6 RAV4 offers 268 horsepower in a compact SUV with only 1 combined mpg less than the four-cylinder models. The RAV4 also was recently named one of most reliable used SUVs of 2009 by J.D. Power and Associates. The model needs top needs these types of accolades to stay relevant as the 2012 CR-V was significantly revised for 2012 and the all-new 2013 Mazda CX-5 and new Ford Escape debut. The RAV4 also has best in class cargo space in the compact SUV class. 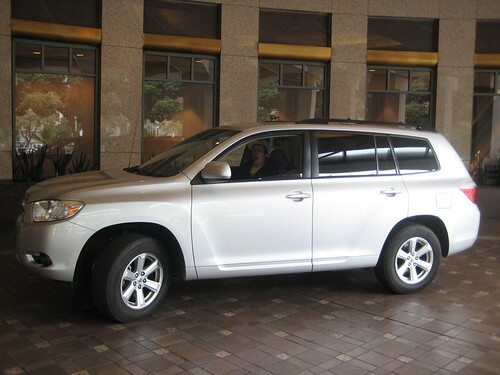 The Highlander has similarly received few changes since 2008. CR lauded the model’s refined comfortable, and quiet ride. 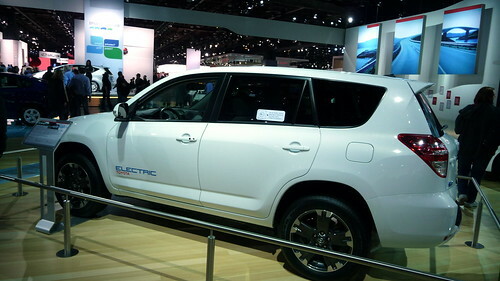 The Highlander Hybrid tops all SUVs in fuel economy with 27 mpg combined. However, the Hybrid is expensive, with a starting price of $38,578. The Mazda CX-9 has garnered more support historically as a top family SUV, winning the Motor Trend 2008 SUV of the Award. However, the Highlander is among the safest 2012 SUVs, according to the IIHS. For complete details on Consumer Reports’ top SUVs of 2012 and other models according to CR, check out ConsumerReports.org or the March 2012 edition of the magazine. This is great for Toyota. Toyota has experienced set backs with recalls and the troubles after the tsunami. This will help get the brand back to where it should be.